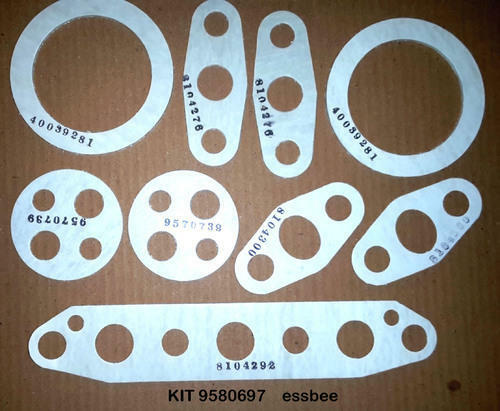 To meet the specific requirements of customers, we are engaged in manufacturing and supplying a large range of Gaskets, Massey Ferguson Tractor Parts, Forklift Parts and many more products. The products we offer are dimensionally accurate. Our name is enlisted amongst trusted and leading companies for manufacturing and supplying a comprehensive range of Automobile Gaskets, Tractor parts, Forklift Parts, Cylinder Gaskets, Engine Gasket Kits and many more products. These products are manufactured using high grade raw material and cutting edge technology keeping in mind defined quality standards. The products of our company are quality approved and available as per the industry standards. Besides, we offer products to the customers in accurate dimensions and used in various industries.